With our mosquito removal solutions, we will eliminate the mosquito population on your Charlotte property. Every time you go out to your backyard, it feels like an enormous swarm of mosquitos attacks. Not only does this make barbecuing on a warm summer’s evening more than miserable, but it almost makes your outdoor living space unusable. 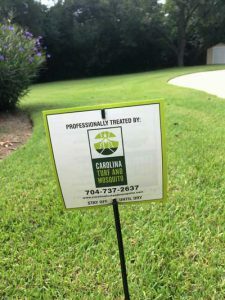 If you’re ready to get rid of the pesky mosquitos taking over your yard, it’s time to turn to us at Carolina Turf and Mosquito, LLC. With our mosquito removal solutions, we will eliminate the mosquito population on your property and help you finally get more out of your outdoor living space. When it comes to mosquito removal, one size doesn’t fit all. With our unique approach, we’ll take time to analyze why mosquitos are taking over your yard and devise solutions designed to get rid of them. Please remember that mosquito removal isn’t something that can be done once and then never managed again. 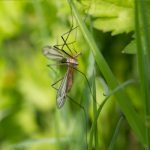 For this reason, we’d be happy to devise a long-term removal plan for your yard, so mosquitos don’t become a recurring problem. At Carolina Turf and Mosquito, LLC, we’re committed to superior quality and excellent customer service. To find out more about our mosquito removal solutions in Charlotte, North Carolina and why they work, get in touch with us today. Please remember to ask us about our 100% client satisfaction guarantee, as well as our referral program! 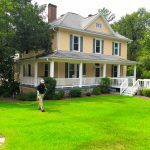 At Carolina Turf and Mosquito, LLC, we offer mosquito removal services in Charlotte, Waxhaw, Weddington, Matthews, Pineville, Fort Mill, Rock Hill, Gastonia, Mint Hill, and Pineville, North Carolina.